Saying, “I love you” for the first time is one of the most exciting, but scary parts of a relationship. Most of the time, people are afraid and uncertain if they should say these words because they don’t know how their partner will respond. Will they feel the same way? Is it too early in the relationship? These are some of the most common questions that run through everyone’s mind. People usually question who should say, “I love you” first. If the girl says it, she comes off as crazy but if the boy says it, he’s a romantic. So how exactly do you go about saying these three special words first? Before saying “I love you,” one thing that’s important is that you have defined love. Make sure that you have determined the difference between lust and infatuation vs. love. For example, when you are in love with someone, you are often thinking about the future with them. Love is for the long term and it’s when you would do absolutely anything for someone. But lust and infatuation are usually short term and more of an admiration for your partner. Step 2: Feel it out. The main reason people are typically so afraid of saying “I love you” is because they don’t know how their partner will respond. The best way to determine this is to feel out the relationship. After some time in the relationship, people can usually get a sense of how their partner feels. Do they want to talk to you all the time? Are they asking to see you? Reassuring you that they care about you? Ask yourself these questions, have long talks with your partner, and you will end up feeling more confident on when to say these three words. Step 3: Do it at an appropriate time. 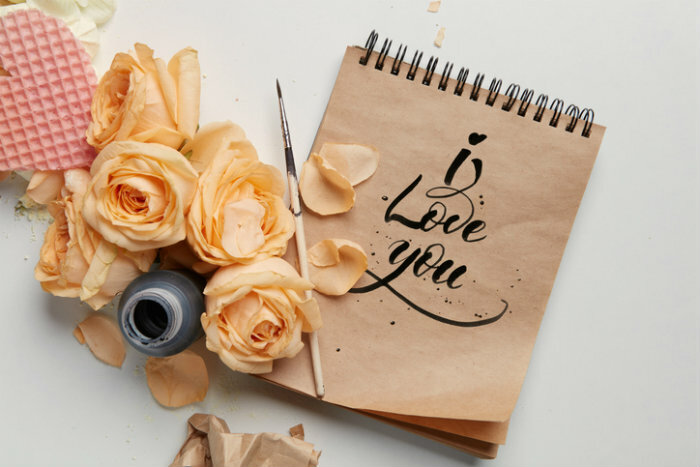 I cannot stress how important it is to plan ahead when and where you are going to say, “I love you.” Saying this is a huge deal so you want to make sure you do it at a special moment. Saying “I love you” is usually very intimate so it might be best to do it in a private space where you both feel comfortable. Step 4: Be prepared for the response. If your partner doesn’t respond back right away, don’t freak out! Go into the situation without the expectation of them not saying it back. Just because they don’t respond at that very moment, doesn’t mean they won’t in the future. Some people take longer than others. Step 5: Say it like you mean it. Be sure to show your partner that you truly love them. Actions speak louder than words!